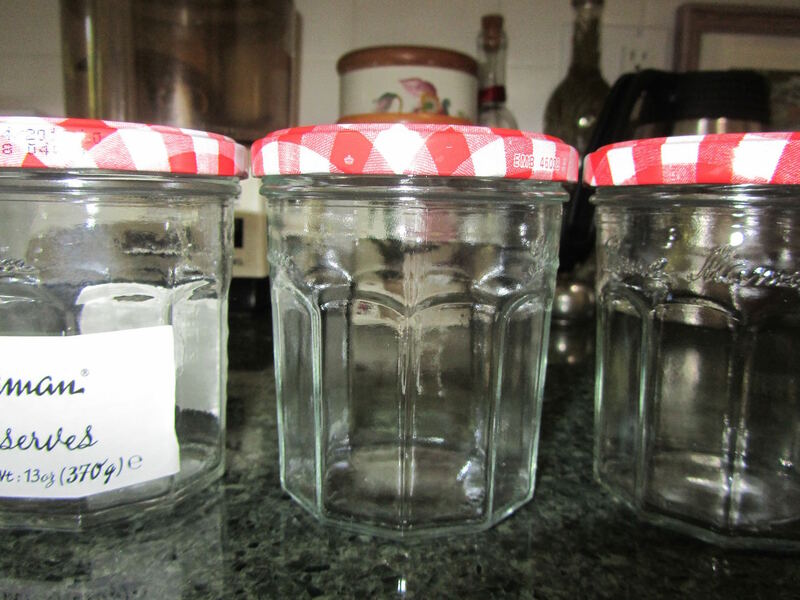 creative savv: When is buying fruit for making preserves the frugal thing? When is buying fruit for making preserves the frugal thing? There are two kinds of jam that I think is frugal to make. 1) jam with any kind of free fruit. This would include fruit from our bushes and trees, foraged fruit, and any fresh fruit that is going soft and I would enjoy in jam. 2) The second kind of jam that I like to make does use purchased fruit. 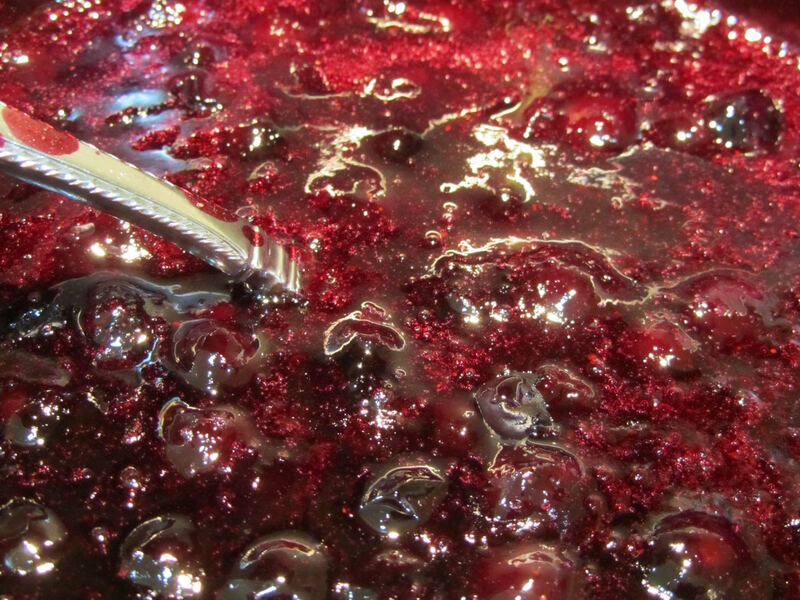 However, it is frugal if the only commercial versions of this flavor of jam are an expensive brand, such as cherry preserves or blueberry jam. Both of those flavors are only available in "gourmet" brands of jam, in my area. 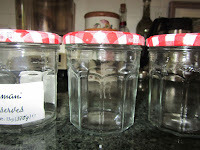 A week ago I posted a photo of some Bonne Maman preserves jars. This is a très expensive brand of jam. For some flavors, this is the only brand available in regular supermarkets. I love blueberry jam. 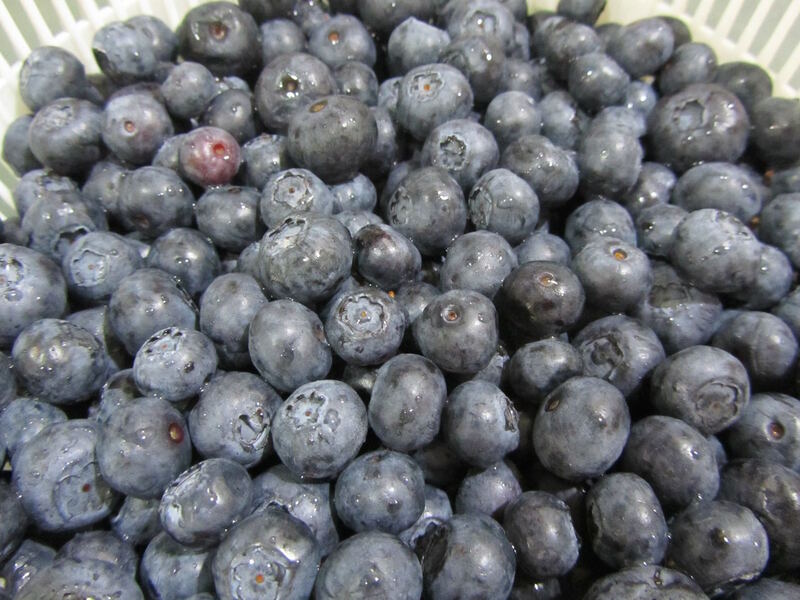 The 13-oz jars of Bonne Maman Blueberry Preserves are $4.99 at Fred Meyer or $4.69 at WinCo. 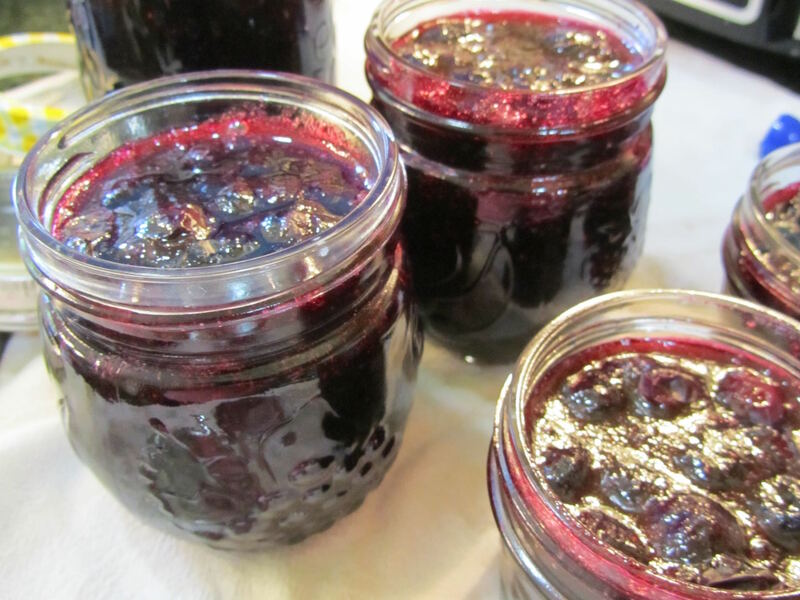 By making my own blueberry jam with purchased, fresh blueberries, I can make about 3 of those jars-worth of blueberry preserves for about $3.80, including berries, sugar, lemon juice, pectin, and new lids for the previously-used jars, for almost one-quarter of the cost. That's $1.27 for 13 ounces of homemade blueberry preserves. 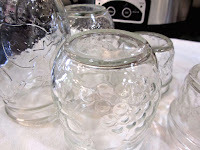 I use several sizes of jars in one batch, so some jars can be for our consumption, while others make perfect gifts. I agree, it's frugal to make jam with purchased fruit to make speciality preserves. We have cherry preserves in our fridge right now because it was on sale. We rarely ever have it otherwise. 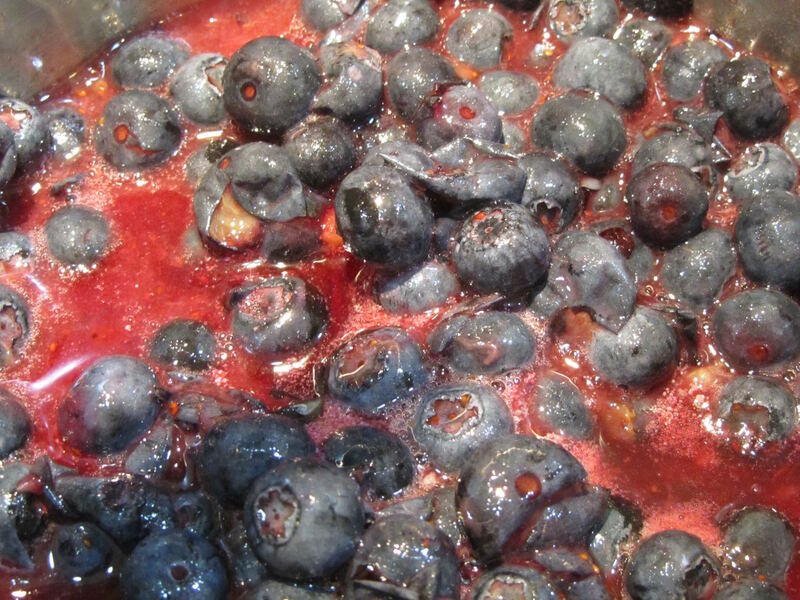 Your blueberry preserves sound delicious, Lili. Cherry preserves are some of my favorite. I am sure that you will really enjoy those. You have perfect jars for gifts for blueberry jam. As always, it pays to know your costs so you can make an informed decision. And even if it's not the most frugal thing, a treat every now and then is a good thing. 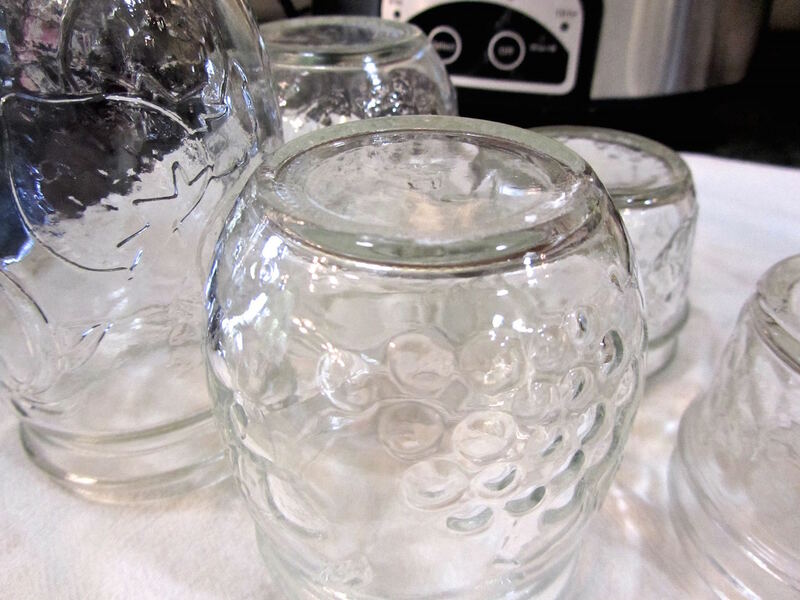 I love those globe-shaped jars for jam. Even if I'm just using them for myself, they make the jam feel special. I found all of them at Goodwill for 20 cents each. I agree, a treat from time to time is very good for us! Oh, wow, jam! We love jam at our house. 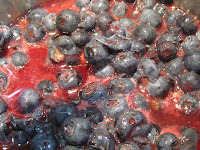 Early this summer I made a strawberry/blueberry/rhubarb jam using all free fruit. 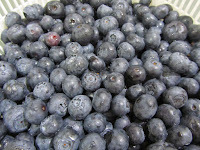 Dad gave me strawberries and rhubarb and I got a big bag of wild blueberries from my volunteer night at the food pantry. Interestingly, I can't find a recipe for this trio so I had to improvise a bit. Thankfully, it all turned out! I also purchased some peaches and made a batch of peach jam because it is my all time favorite. So peach is my specialty fruit that I will buy to make jam. I also "found" a container of crushed peaches in my freezer that is pre-measured for a batch of peach jam. I put that in the freezer last summer thinking I would make jam in the winter but it got "lost" in the bottom of my well-stocked freezer. I'll keep that for this coming winter. The jam that you made sounds wonderful! 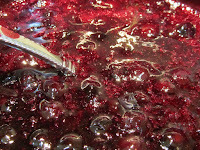 Joy of Cooking has a recipe for mixed berry preserves, but I don't think it calls for rhubarb. How did you like your combination? Yum! Peach jam is delicious, too! I think you're right, worth buying the fruit to make that one. 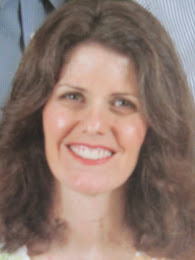 I love the combination and so does my family. It came about one year that I didn't have enough fruit of one kind to make a batch so I started combining fruits to get enough cups to make a batch. This quickly became a favorite. I have also done peach/plum/raspberry and wow, what good combinations. Maybe these recipes are in cookbooks but I just put them together and adjusted the sugar by reviewing the recipes from the sure jel packet making sure that a sweeter fruit versus the tart fruit (like rhubarb) has the correct amount of sugar. I figured if it failed to "set up" then we would still have something to pour over our sliced bread. Nothing has ever failed to set up. the peach, plum and raspberry sounds so delicious! I think I would like that more than any plain variety. When making cobblers, I love peach mixed with blueberry. 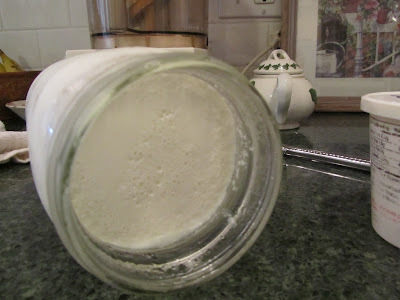 It sounds like you've figured it out, for balancing the sugar/pectin with the mixed fruits.